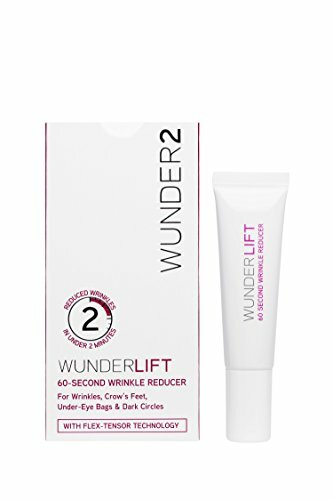 60 second Anti-aging Serum with Flex-Tensor Technology: Instantly Reduces Eye Wrinkles and Puffiness and Dark Circles Under Eyes. Long Lasting Effects: No Wrinkles, Crow's feet, Under-eye bags or Dark circles for up to 8 Hours. Exclusive color correctors and moisturizing agents to prevent cracking and whitening. Micro-Filler Technology Releases Nano-ingredients helping to Plump and Fill Skin. Cruelty Free Make Up - Leaping Bunny Certified. Featured in Hello!, Cosmopolitan, Daily Mail & OK! Made in USA.